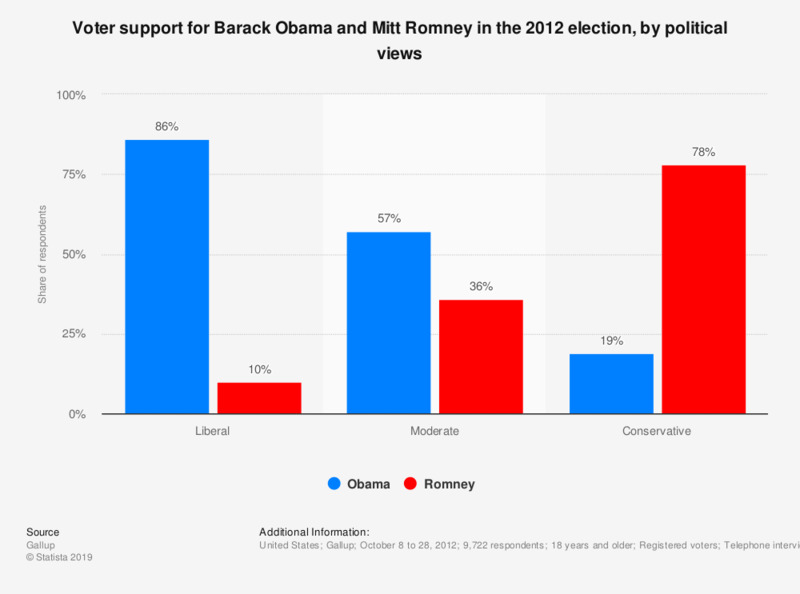 This survey shows the voter support for Barack Obama and Mitt Romney in the 2012 election as of October 28, by political views. If the elections were held that day, about 86 percent of voters who consider themselves liberal would vote for Barack Obama. Do you think Romney should or should not release tax returns from additional years? How much do you blame the Bush or the Obama administration for the problems the middle class has faced over the last ten years? Did Obama's economic policies have a positive or a negative effect on the overall economic conditions? Do you approve or disapprove of the way Barack Obama is handling the situation in Afghanistan? Did President Obama expressing his support for gay marriage make you think more favorably of him?